"Senior engineer Steve Calfee reflected that Asteroids appeals to some low, primitive drive in the human mind to clean and take control of the environment. Blasting asteroids into rubble until a once-crowded screen turned into a neat black field appealed to people whose lives were nothing but a field of chaos. For them, Asteroids became a metaphor for life." - Paul Schuytema, Microsoft Arcade, The Official Strategy Guide. 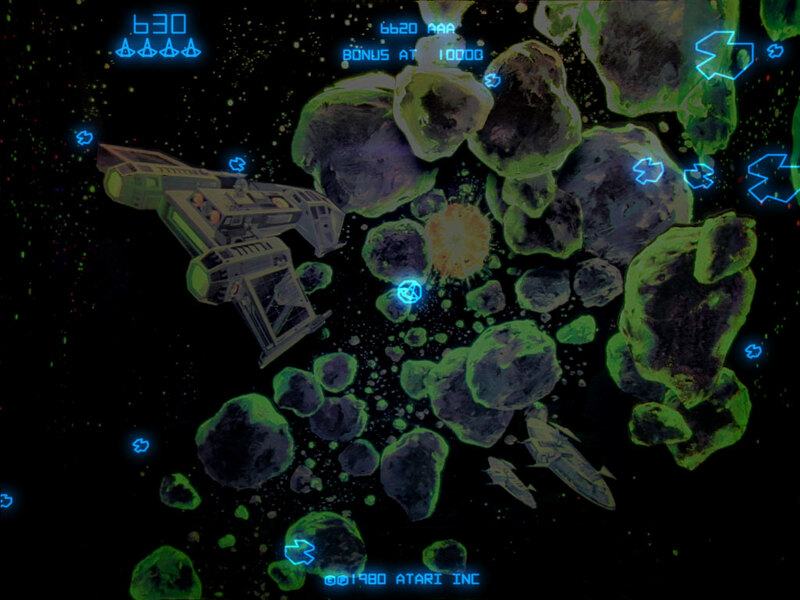 Atari tried to improve on the original Asteroids game introducing Asteroids Deluxe in 1980. This version of the game offered animated graphics, better sound, and more in-depth gameplay. It also included a color backdrop to make the game more interesting to play. Also in 1982, Atari released Space Duel which included multi-player capability, complex physics, improved sound effects, and, most importantly, color vector graphics. Unfortunately, Space Duel was never as popular or as well known as the original primarily due to the strangeness of the objects being blasted. No longer was the player fighting an endless armada of asteroids and UFOs, but a strange assortment of geometric shapes. People used to rock-blasting didn't know what to make of the new game. Atari's most recent Asteroids revision came in 1987 from Atari Games. Blasteroids did away with the vector screens in favor of more modern raster images. Blasteroids added morphing ships, power-ups, and highly detailed images. Space Fury was Sega's answer to Asteroids, and was released in 1981. This game took all of the familiar concepts and melted them together into a very unique action game. 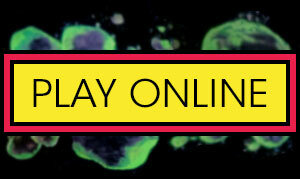 Unlike the slow, methodical pace of Asteroids, Space Fury is a pure action game. Your adversary is a one-eyed alien taunting you at every step. Who could forget his condescending statement he makes when you plunk your quarters into the machine: "So, a creature for MY amusement!" There are too many home versions of Asteroids to be able to catalog them all. From official versions to shareware clones, the game has managed to appear on practically every video game console and computer in one form or another! Asteroids for the Atari 2600 was quite an accomplishment as it was the first 2600 game to reach a whopping 8K in size! This is quite a feat considering that the 2600 was designed to only address 4K of memory. While the 2600 version lacked the originals vector graphics, it did include the core gameplay and enough options (hyperspace, shields, flip, UFOs, easy or hard asteroids) to keep gamers happy at home. Other versions of Asteroids include those for Atari systems such as the 7800, Lynx, 8-bit computer line, and the ST line. One important exception, is the Atari 5200. This version, identical to the 8-bit home computer versions, was never released and exists only as a prototype. 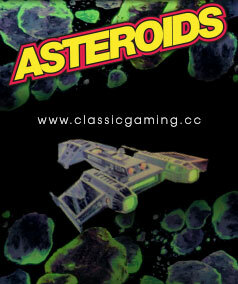 Atari also released home versions of Asteroids through it's AtariSoft label for competing game and computer systems. Some home clones of Asteroids include Mine Storm for the Vectrex, Astro Smash for the Intellivision (although some would call this one a stretch), and Space Fury for the ColecoVision.